The mill of the 'Accademia Olearia and Vinicola Angarano' is within the captivating landscape of lavish green hills and breathtaking countryside views of Puglia. Located within a traditional territory of Puglia called Trani, this 9th century city is famous for its impressive 11th century Romanesque Cathedral that was built on the seaside. It extends to the green hills where the famous Castel del Monte is located, in which you will find the city of oil and the amazing hunting residence of Emperor Frederick II of Swabia. This region has been made a UNESCO World Heritage Site. The location is in the heart of Puglia Imperial, which on one hand you will experience the smell of the fresh sea air and on the other the silver of the olive trees that cover this land as far as the eye can see. The Academy Angarano is fortunate to be situated in the center of this picturesque landscape. 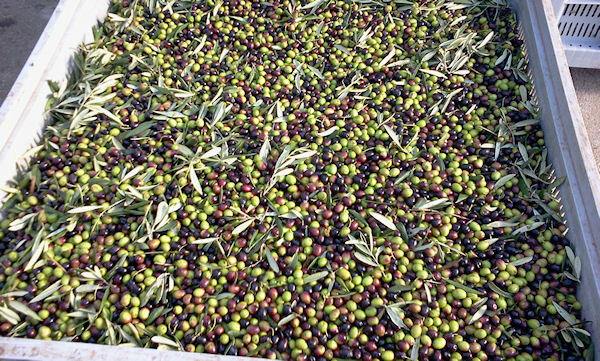 During this tour you will be transported from the port of Bari and taken to visit the olive oil factory where you will learn every facet of how the olives are handpicked, cultivated and processed by state of the art machines which are temperature controlled to process the highest quality Extra Virgin Oil. The Angarano family has been producing oil and wine in the Pulgia Region for as long as the grapes and olives have been on the trees. Puglia is responsible for manufacturing over 40% of all extra virgin olive oil that is produced in Italy. You will have time to shop at their little country store and take home canned oil products before moving onto the 9th century Cathedral in Trani where sacred bones are encased below in a scavi, the Emperor's Castle on the seafront and Castle del Monte, which is located high above sea level. Remember to bring your camera. A tasting is included - wine, cheese, bread with olive oil. Please note: Entrance to the castle is not included in this tour.